The Shanghai Orchestra Academy and Partnership is a joint endeavor of the New York Philharmonic and Shanghai Symphony Orchestra. Starr International Foundation has been the Presenting Sponsor of the Shanghai Orchestra Academy and Partnership for five years. 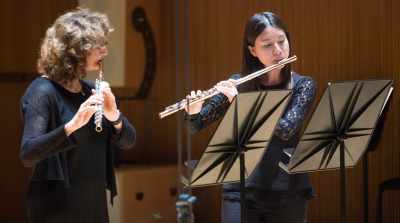 Launched in September 2014, the partnership includes annual New York Philharmonic tours in China — including two performances at Shanghai’s Music in the Summer Air (MISA) festival and, in 2019, two concerts in Guangzhou’s Xinghai Concert Hall and one performance in Nanjing’s Jiangsu Centre for the Performing Arts. 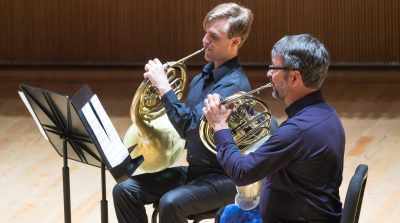 In addition to instruction by Philharmonic musicians at the Shanghai Orchestra Academy (SOA), established through the partnership, SOA students may be selected by audition to be Philharmonic Zarin Mehta Fellows, who travel to New York City for a week-long immersion in the life of an orchestral musician. The SOA is a two-year, post-graduate program designed to address the need for advanced orchestral training in China. New York Philharmonic musicians travel to Shanghai four times each season for master classes, coachings, mock auditions, and seminars. 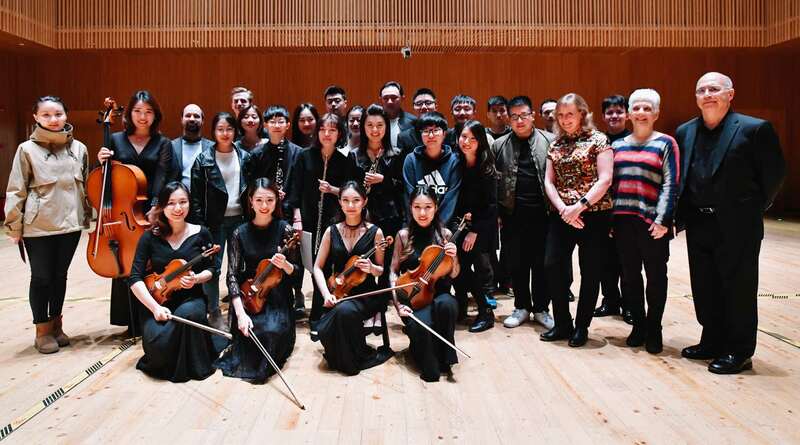 It is a joint effort of the New York Philharmonic and Shanghai Symphony Orchestra in partnership with the Shanghai Conservatory and under the leadership of founding president Long Yu. Classes include Orchestra Performance, Chamber Music, and Musicianship Skills for Orchestral Performance. Highly qualified students may have the opportunity to play with musicians from the New York Philharmonic in Shanghai, or as New York Philharmonic Zarin Mehta Fellows in New York City. The most recent group of Zarin Mehta Fellows came to New York in June 2018 and participated in the Concerts in the Parks, Presented by Didi and Oscar Schafer. The SOA provides different levels of scholarships to all of its students, and graduates receive a Master of Fine Arts in Orchestral Performance. Admission is open to student instrumentalists from around the globe; SOA students have previously been trained in China, Taiwan, Hong Kong, Japan, Italy, and the US. The SOA graduated its first class on July 5, 2016. For information about application and auditions, fees, scholarships, and more, visit soa.shsymphony.com. 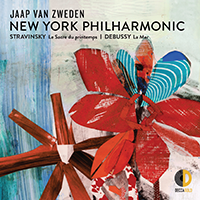 In the summer of 2019 Jaap van Zweden conducts all of the Philharmonic’s performances, June 27–July 3, featuring masterpieces by Beethoven, Brahms, Mozart, and Shostakovich. He also leads a side-by-side rehearsal with SOA students joining the Orchestra. The Philharmonic also presents a Very Young Composers workshop in Shanghai, and gives concerts, led by Jaap van Zweden, in Guangzhou and Nanjing. Starr International Foundation is the Presenting Sponsor of the New York Philharmonic–Shanghai Orchestra Academy and Partnership. Additional support is provided by Shirley Young / US-China Cultural Foundation, The Hilaria and Alec Baldwin Foundation, Inc., an anonymous donor, and other gifts. Major support for Very Young Composers is provided by Susan and Elihu Rose.